Get the special member’s price by joining as a PNA member. 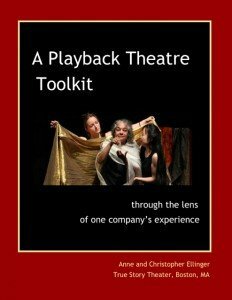 while supporting the growth of Playback Theatre networks and exchange of learning. Downloadable file of the toolkit: Members will get sent a link to a downloadable edition of the company toolkit. Paperback editions of the toolkit: Members get the discounted price above for the paperback book edition if desired. Do you live outside of the U.S. or Canada? You are welcome to join as an international friend and will receive an electronic copy of the toolkit. You also get the discount on paperback copies.